Quick Thoughts: COMMUNITY, "Foosball and Nocturnal Vigilantism"
Community continued its streak of multiple personalities as it followed up the niche-ier "Documentary Filmmaking: Redux" with the more normal "Foosball and Nocturnal Vigilantism," and while many casual viewers probably wouldn't consider the latter all that "normal," it was far less conceptual than the former. 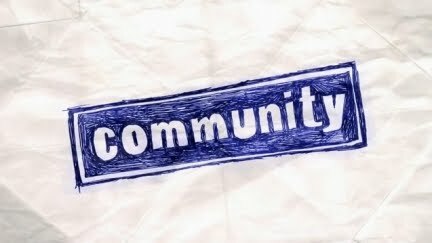 I get why Community feels the need to give the audience episodes that feel a little broader like "Foosball" because it cannot live on high-concept ideas alone because that approach is not sustainable (as the show has found out the hard way), but laying off the gas can be hit or miss too. This episode wanted to tone down the zaniness (to an extent) so it could focus on the character's relationships, but some of the beats were muted to the point of indifference. I should have liked the Jeff/Shirley/foosball plot more than I did because it did try to flesh out a relationship that has been ignored for almost two-and-a-half years, but that was part of the problem. Shirley's been so marginalized over the past couple of seasons that I found myself not caring about her origin story, which in turn made me care less about Jeff's since they just had to be connected. For a show that strives to be so different, they sure to rely on the tried-and-true tropes an awful lot. Fans will say that they were commenting on the cliche, but we were supposed to take the interactions between Jeff and Shirley seriously (except for the random anime scene), so it really wasn't mocking the idea rather than out right using it. On the flip side, I liked the "weaker" Abed/Annie/Troy story more because I'm always a fan of watching those three interact. I'll go ahead and repeat myself, I would watch a show entirely dedicated to these three, and the whole Dark Knight debacle cemented that assertion. Yes, it was not as strong as the Jeff/Shirley A-plot, but Abed as Batman will always be amusing, and I liked how Troy was given the chance to be the voice of reason. "Nocturnal Vigilantism" wasn't as strong as "Studies in Modern Movement" in terms of the bond between these three, but I still enjoyed most of it. I tend to like this flavor of Community, but forcing me to care about someone who as become nothing more than a Christian stereotype was a lot to ask, and this episode would've played better if the writers knew how to develop Shirley from the start. Luckily, all of the Batman antics saved the day. Now on the wacky Christmas episode!